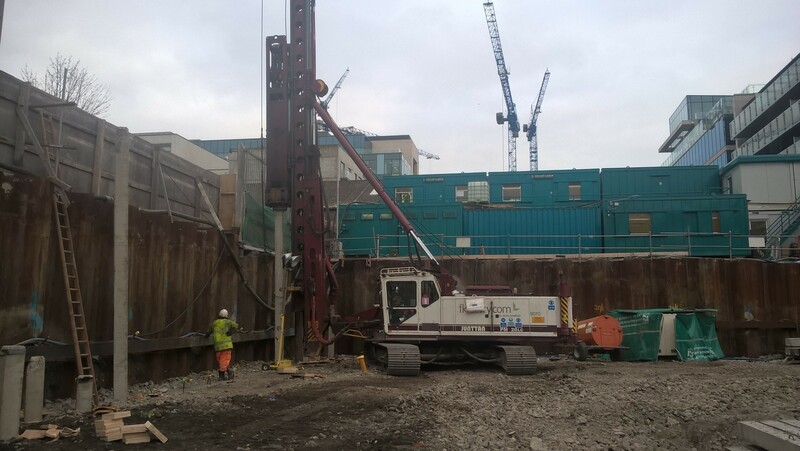 FK Lowry Piling have completed a €225,000 contract to design and install Driven Precast Piling at Hannover Quay in Dublin for a new Client in Cairn Homes, within a 6 week programme. 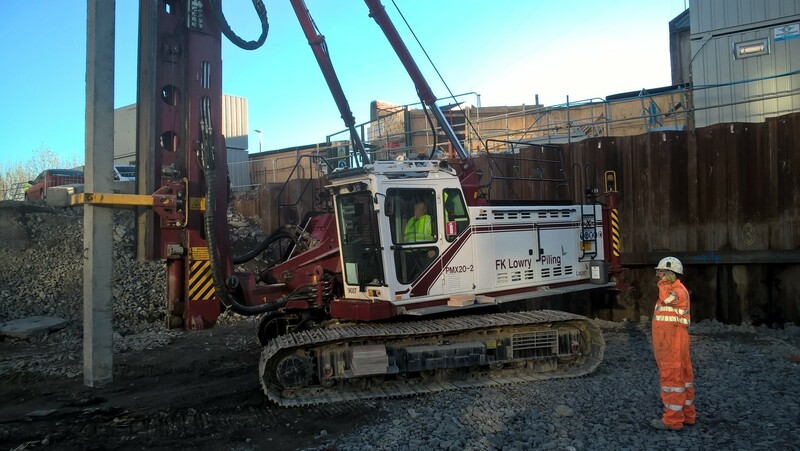 FK Lowry Piling were contracted to install 109 No. 250mm Sq. and 438 no. 355mm Sq. Precast Piles for working loads ranging from 275kN to 1250kN. The ground conditions consisted of Made Ground overlying firm Silts before Dense Gravels were encountered from 4.5m. This was further underlain by Very Stiff to Hard Dublin Black Boulder Clay. FK Lowry Piling also undertook 2 No. Static Load Tests and 10% dynamic tests in order to prove the pile design.